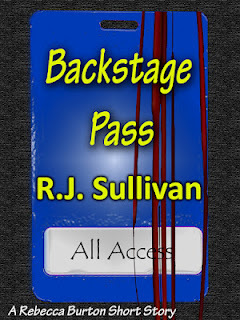 “Backstage Pass is, on one hand, a deeply personal story. Released as a “Seventh Star Single” (a 99 cent short story you can still order here, though buying the collection is a much better deal) just a few weeks before Haunting Obsession in 2012, the story was inspired by my encounters through the years steeped in pop music fandom. I tried to channel the general friendliness and surrealism of that group, some of the wacky personalities one can encounter whenever the obsessed gather together to…well…obsess together. Although I call this a personal story, the tale is full of inaccuracies, exaggerations, and outright lies. The protagonist writes for Rolling Stone, lives in New York, and is part of the publicity staff of the object of his admiration (a southern rock belle named “Fiddle Dee-Dee”). It was a challenge to capture the tone of these escapades and use those episodes in a sci-fi tale, and I even included cameos of real people by name in what I hope they find flattering representations (“Mary Kay,” whom I told you about in my Fade excerpt, appears in this excerpt) but the story is pure fiction beyond the general truth that people can get lost in their hobbies and obsessions. However….that said….I thought, for this excerpt, I’d pick the moment from the story that happened very much as depicted (and recalled as best that I could). Though still fictionalized, much of this scene really did happen, with minimal fictionalization to hide the name and identity of the guilty party. I suppose “Tony Stoker” may one day want to speak to me, but probably not. 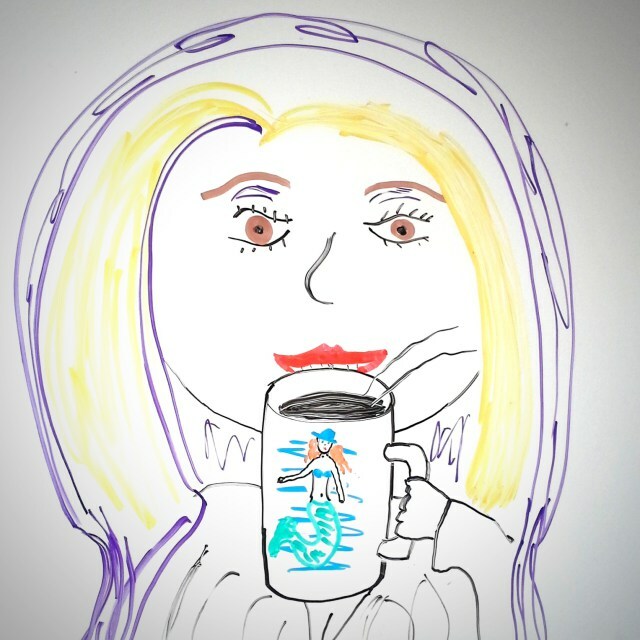 The lesson remains true–don’t act “cray-cray” around a fiction writer. We just can’t help ourselves. Jared stood near his friends, Mary Kay, Jamie, Rick and Michelle, still seated at the table where they’d viewed the track-by-track live performance, essentially loitering in the club after Dee’s jazz album release party. While Dee handled the official press backstage―such as it was―they waited for the coast to clear to hold a private meet n’ greet with Dee. Tony Stoker (dubbed by Dee’s fans as “Stoker the Stalker”) also waited, his camera with its telescopic lens hung from one shoulder while he cradled a huge scrapbook against his chest. His gaze darted to their table, around the room, and back again. Tony frequented the newsgroups, so he knew their names. And he knew they had special access. But they knew his name, too. And they knew he didn’t have special access. At this stage in her career, Dee often showed her few devoted fans incredible consideration, but if she bothered to keep a blacklist, Tony Stoker’s name would occupy the top slot. Jared broke eye contact and stared into his drink. Damn! Now what? “Dee … Fiddle Dee-Dee … is just one of my clients. I write a syndicated music column. Recently, Rolling Stone and Billboard invited me to submit some reviews.” He braced for Tony’s next question. “Nope, definitely not,” Jared answered, hoping he didn’t sound as much a liar as he suspected. Opening to a random page, Jared saw eight consecutive shots of Dee on stage, virtually an identical pose, taken rapid-shot. Why display so many shots of the same moment? Because he’s a whack job. Still, can I really judge another’s level of fanaticism? Jared flipped the page. “Here’s one of her coming out of her hotel in Wisconsin last year. 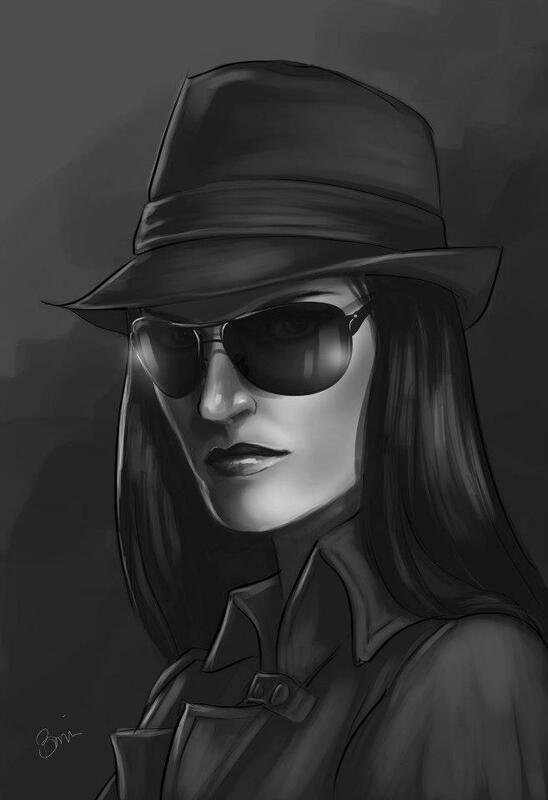 I waited in the lobby for six hours.” His finger dropped to a photo of Dee, a large canvas hat over her head and dark glasses hiding her eyes. Tony caught her mouth open in a frozen snarl aimed at the cringing blonde next to her. Lisa. Jared knew about the fight, but few others did. He wanted to slug the slimy leech. “Everything okay here?” His “date,” Mary Kay, wandered over from their table. Though Mary Kay was “very gay,” they play-dated at concerts. “Yep!” She ran with the lie. “We were talking about hitting a dance club. Chicago’s got a wicked night life, and we wanted to do something positively sinful.” She flashed a mischievous smile. “Suit yourself.” He headed for the Men’s Room. Once alone, he pulled out his phone, found the D. Pat Cell entry and hit Talk. He kept Fiddle Dee-Dee’s name entered under an abbreviation of her little-known birth name, Deana Patterson. Last thing he needed was to lose his phone and for someone to find her name and number. “Hello?” A familiar southern drawl. 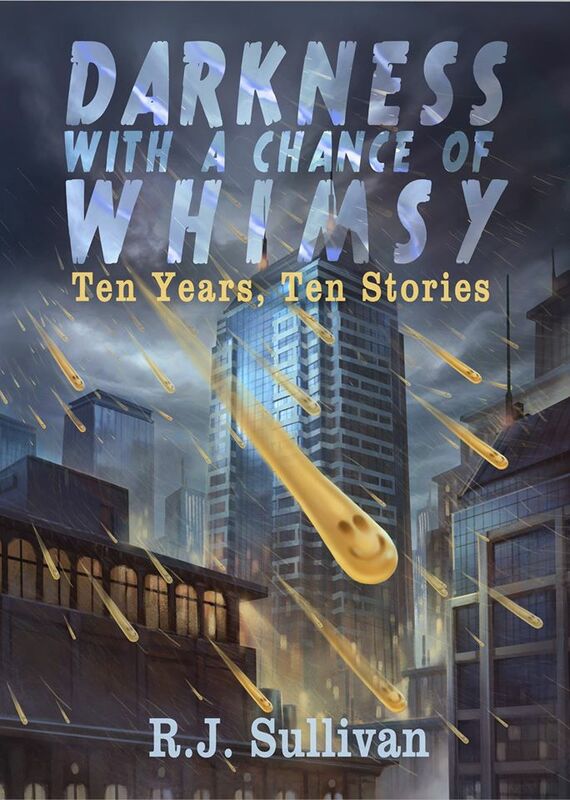 Click here to go to the dedicated ordering page of Darkness with a Chance of Whimsy. This entry was posted in Uncategorized and tagged author promotion, authors, blog series, Book Promotion, books, Chris Garrison, collection, domestic, excerpt, Haunting Obsession, Horror authors, Indiana, Indiana authors, magic, monsters, new books, new ebooks, new reads, previews, R.J. Sullivan, Rebecca Burton, series, seventh star press, sparkle, Strange Weird and Wonderful, time travel, Virtual Blue. Bookmark the permalink.